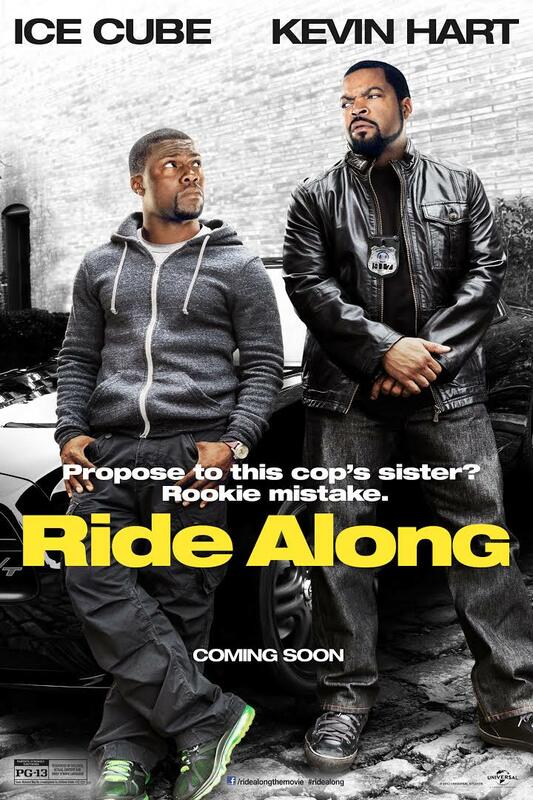 Ride Along - Movie Titles, Trailers and More! For two years, security guard Ben (Kevin Hart) has tried to convince James (Ice Cube), a veteran cop, that he is worthy of James' sister, Angela. When Ben is finally accepted into the police academy, James decides to test his mettle by inviting him along on a shift deliberately designed to scare the trainee. However, events take an unexpected turn when their wild night leads to Atlanta's most-notorious criminal and Ben's rapid-fire mouth proves as dangerous as the bullets whizzing by them.